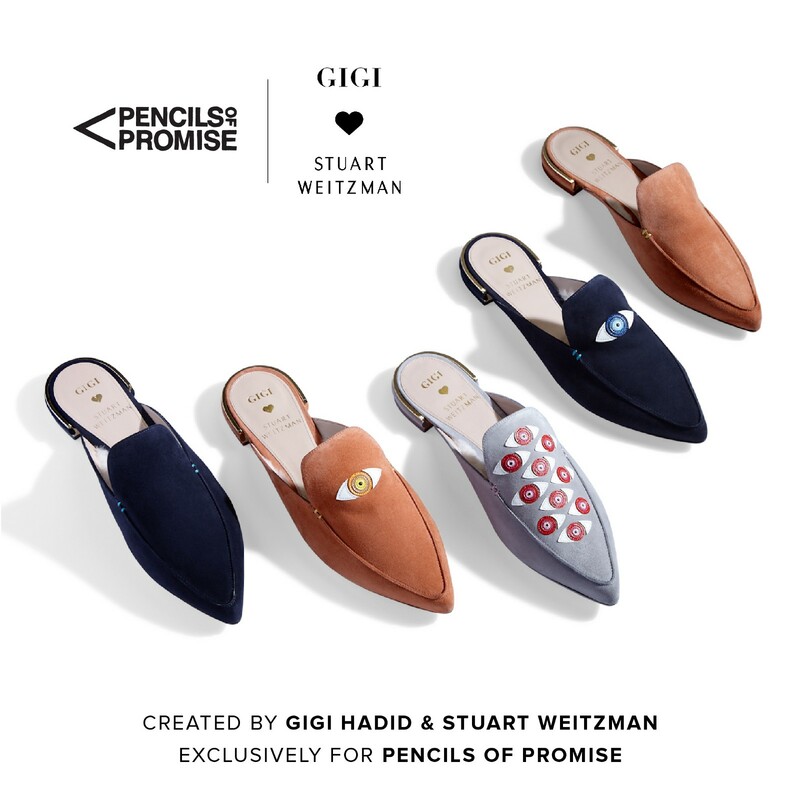 Pencils of Promise is teaming up with legendary footwear brand Stuart Weitzman and fashion icon & philanthropist Gigi Hadid for another impactful collaboration. Today, we’re excited to announce The Gigi Mules: The EYELOVE and The EYELOVEMORE. In 2016, we kicked off our groundbreaking partnership with Stuart Weitzman with the spring release of the NEARLYNUDE sandal and the fall release of The GIGI boot which funded six PoP schools in Ghana, Guatemala and Laos — helping thousands of students step into a brighter future with a quality education. The Gigi Mules come in three chic colors: two iconic versions of The EYELOVE, deep indigo suede and ballet tan suede, and a special edition called The EYELOVEMORE, in frosted gray suede — all of which will help build three additional Pencils of Promise schools. Look good. Do good. Shop the Gigi mule.